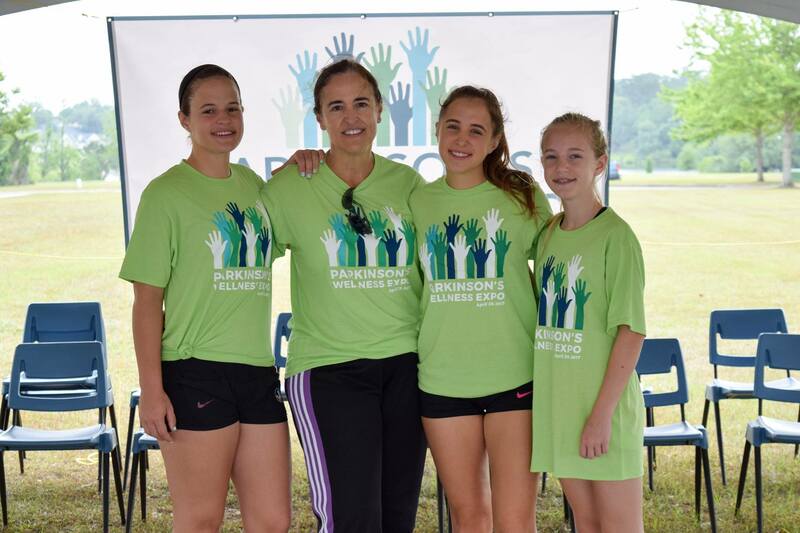 The annual Parkinson’s Wellness Expo is the most popular event each year with the Greater Tallahassee Parkinson’s community, with over 250 attendees last year. The Expo features representatives from the medical community, pharmaceutical companies, home health care and assisted living facilities, fitness organizations, as well as exhibits, informative resources, and educational activities aimed at teaching people what it’s like to have Parkinson’s disease. The Expo showcases local resources available to assist people with Parkinson’s disease and their caregivers; educational activities that teach people what it’s like to have Parkinson’s; and exercise programs to fight the debilitating motor symptoms of the disease. Additionally, representatives from hospitals and clinics, fitness organizations, pharmaceutical companies, home health care and assisted living facilities and others are on-site to share their information with visitors. Money raised from Expo sponsors and walkers supports the Parkinson’s Outreach Association with our mission to promote awareness for Parkinson’s disease and provide local support, information, education and advocacy for people in our community affected by the disease, including caregivers, family and friends. Sponsorship opportunities and benefits are listed below. 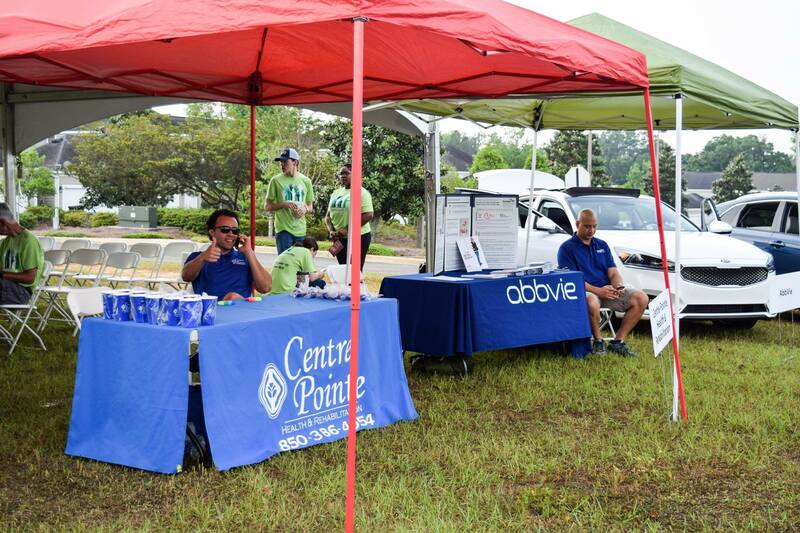 We appreciate your support and look forward to seeing you at the upcoming Parkinson’s Wellness Expo on Saturday, June 15, 2019 at Cascades Park! If you should have any additional questions, feel free to contact the Parkinson’s Outreach Association at (850) 364-0230 or email us at contact@theparkinsonsoutreach.org. Support Your Favorite Team! Make a Donation! Can't attend in person? Make a Donation! 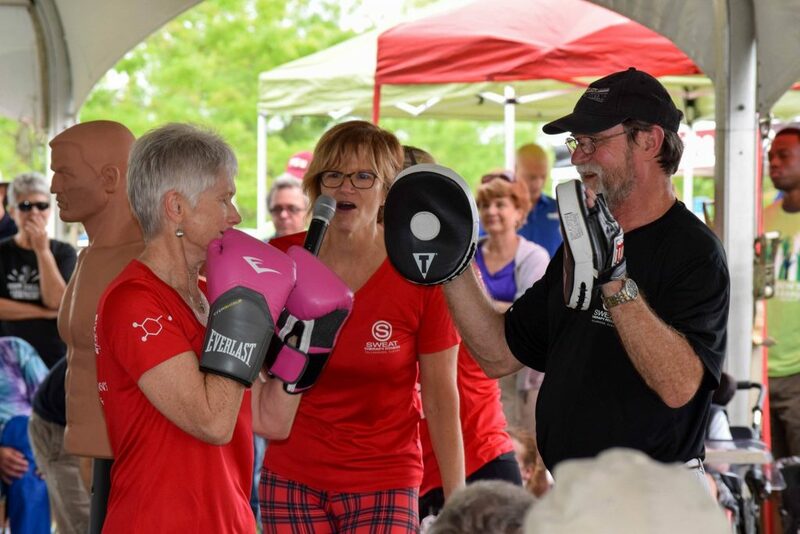 Exercise plays a key role in battling the effects of Parkinson’s disease, and the Movement Pavilion at the Wellness Expo will feature demonstrations of exercise programs and vocal therapy such as Ageless Grace, Rock Steady Boxing, and the North Florida Parkinson’s Awareness Choir. 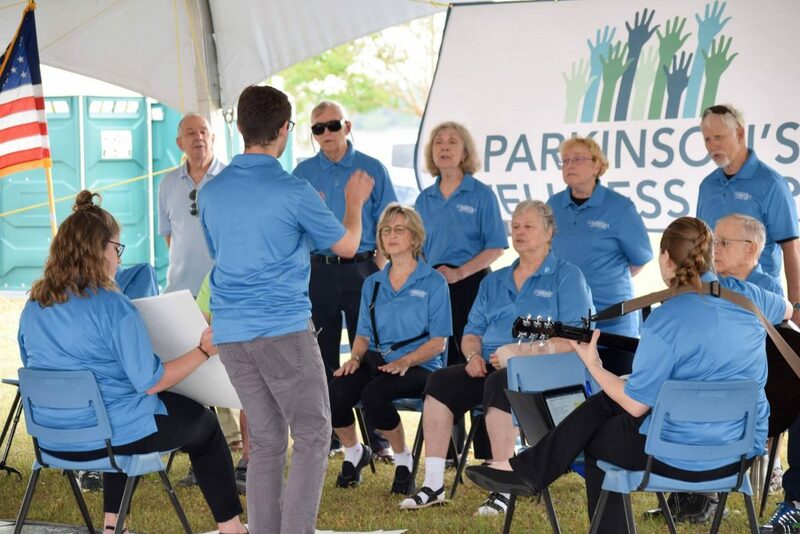 The Expo also includes a performance by the North Florida Parkinson’s Awareness Choir, demonstrating the benefits of singing for people with Parkinson’s disease. A common symptom of Parkinson’s is a loss of vocal volume. Participating in activities such as singing can improve vocal volume by strengthening vocal chords, increasing lung capacity and improving breathing. 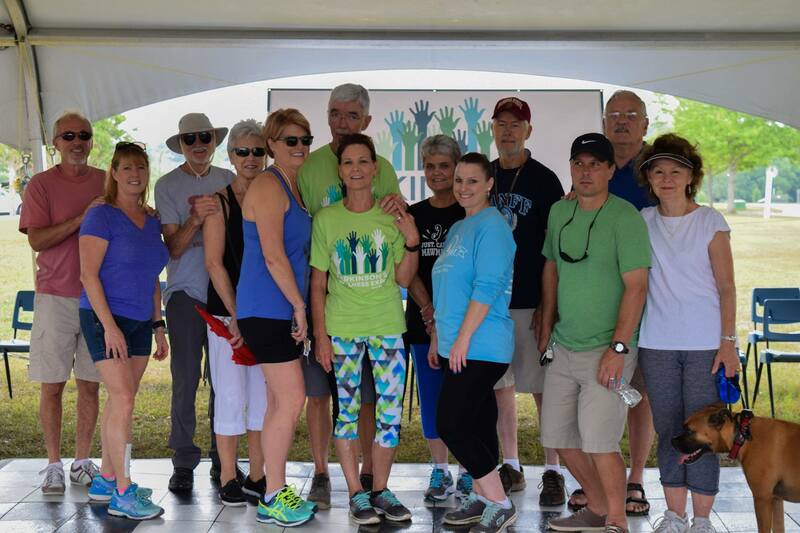 The Expo’s “Walk Around the Park” provides both individuals and teams an opportunity to celebrate movement and the benefits of exercise for people with Parkinson’s disease, as well as an opportunity to raise money in support of local programs to patients, families and caregivers in our Tallahassee community. $1 Test - Do Not Use! The Wellness Expo includes a Taoist Tai Chi demonstration. Tai Chi is the generic name for the soft or internal martial art that was originated more than 800 years ago in China. It is a special and effective form of holistic health training, which can work on your physical, mental and spiritual being. Tai Chi consists of a gentle set of 108 physical movements practiced, which utilize turning and stretching to exercise the whole physiology. At the mental and spiritual level, it develops an attitude of calm, compassion and reduced self-centeredness during practice and daily life. The benefits of Tai Chi include improved circulation, balance and posture; increased strength and flexibility; and reduced stress. Marghi McClearn, owner of Marghi’s Joy and certified Ageless Grace® instructor, provides a fun, playful demonstration of Ageless Grace®, a cutting-edge brain fitness program based on neuroplasticity that activates all 5 functions of the brain (analytical, strategic, kinesthetic learning, memory/recall, creativity and imagination) and simultaneously addresses all 21 physical skills needed for lifelong optimal function. It is considered the “Feel Good, Brain Boosting, Body Enhancing” workout that feels more like play than work. Possible benefits of Ageless Grace® include improvements in joint mobility, spinal flexibility, balance, cognitive function, right-left brain coordination and kinesthetic learning. The POA provides a free, weekly Ageless Grace® class at its office, located at 285 Pinewood Drive, Tallahassee, Florida, from 10:30 – 11:30 a.m. every Friday. 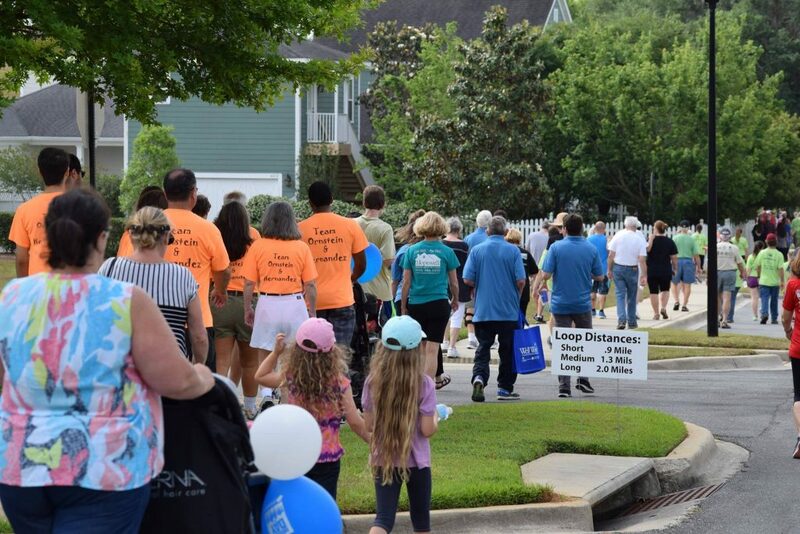 Our North Florida Parkinson’s Awareness Choir has been around for more than 10 years – even longer than the Parkinson’s Outreach Association itself! In fact, it is the reason why we exist today. The founding members of the choir recognized a lack of local resources for the Parkinson’s community, so they formed this organization to help their peers. Our goals are to maintain and improve the voice, support one another and raise awareness for Parkinson’s disease throughout the community. At the Parkinson’s Wellness Expo, you can still meet several of the founding members, along with others that have since joined. We are privileged that one of the founding members, Steve Sandler, is both a talented musician as well as a songwriter. Our signature song, “Reaching For The Sky,” has been adopted by several Parkinson Choirs across the country, and we believe it should be named the national song for Parkinson’s disease! The North Florida Parkinson’s Awareness Choir meets from 1:45 – 3:15 p.m. every Wednesday at Temple Israel, 2215 Mahan Drive, Tallahassee, Florida. No prior singing experience is required! One of the most exciting demonstrations of the day is the the Rock Steady Boxing program provided by Sweat Therapy Fitness. 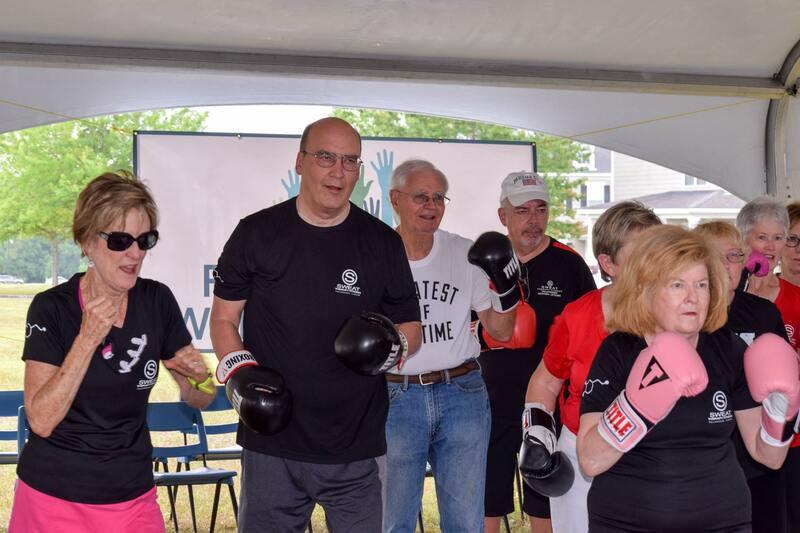 With a mission of “empowering people with Parkinson’s disease to fight back,” Rock Steady Boxing’s non-contact boxing-based fitness workouts are proven to increase quality of life for those with Parkinson’s disease. 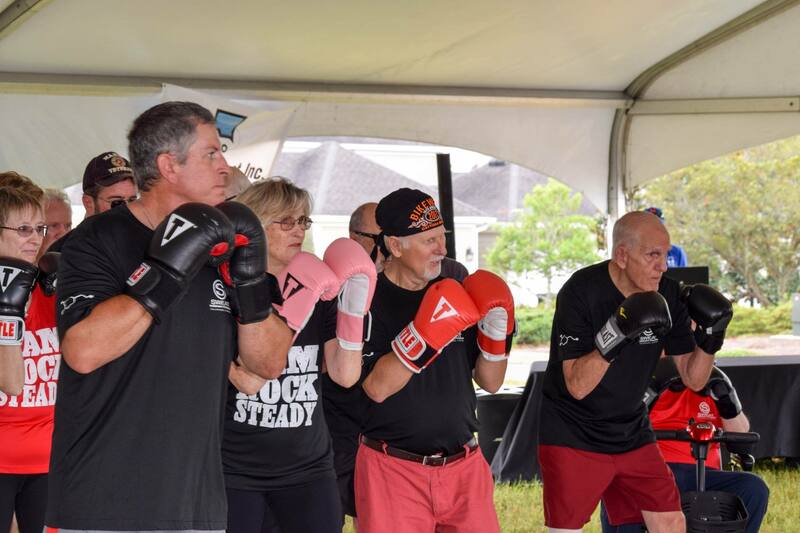 Rock Steady Boxing workouts are designed for those with ALL LEVELS of Parkinson’s disease, and emphasize gross motor movement, balance, core strength and rhythm to improve range of motion, flexibility, posture, gait and mood. In addition to physical benefits, Rock Steady Boxing workouts create an incredible camaraderie among participants. Boxers encourage each other through their successes and setbacks, and support each other both in and out of the gym. To join the Rock Steady Boxing family, please contact Sweat Therapy Fitness to schedule a complimentary assessment with owner/founder Kim Bibeau. Tallahassee’s own Boy Scouts of America’s Troop 10’s Venture Crew will present the colors. Troop 10 is chartered by Lafayette Presbyterian Church in Tallahassee. The National Anthem is traditionally sung by one of the Florida State University music therapy interns who helps lead our North Florida Parkinson’s Awareness Choir. One of the highlights of the morning is the individual and team Walk Around the Park. The many public parks in Tallahassee are quite beautiful, and Cascades Park is no exception! 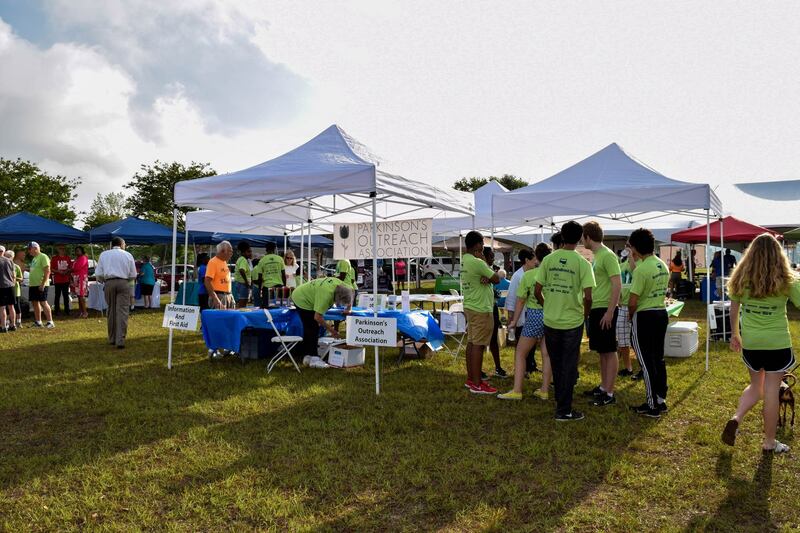 We’ve traditionally been fortunate to have great weather for the annual Parkinson’s Wellness Expo and although it will be hot in June, we’ll have water stations, refreshments, and volunteers to help guide you and provide assistance throughout the walk. Individuals and teams use this event to compete and raise money in support of the programs and services offered by the POA. After the Walk Around the Lake, in appreciation of our many sponsors in the community, we provide special recognition to those who meet our top tier of giving. 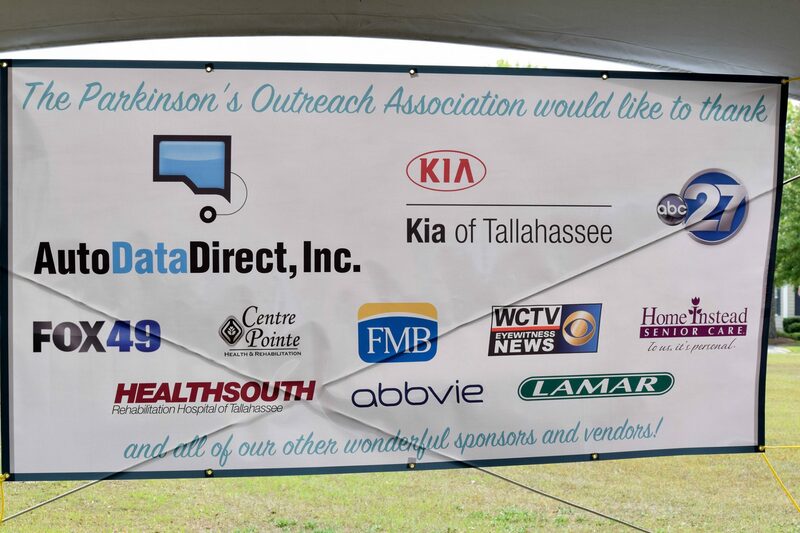 Without their continued support, the POA would not be able to promote awareness for Parkinson’s disease and provide local support, information, education and advocacy for people in the greater Tallahassee community affected by Parkinson’s disease. 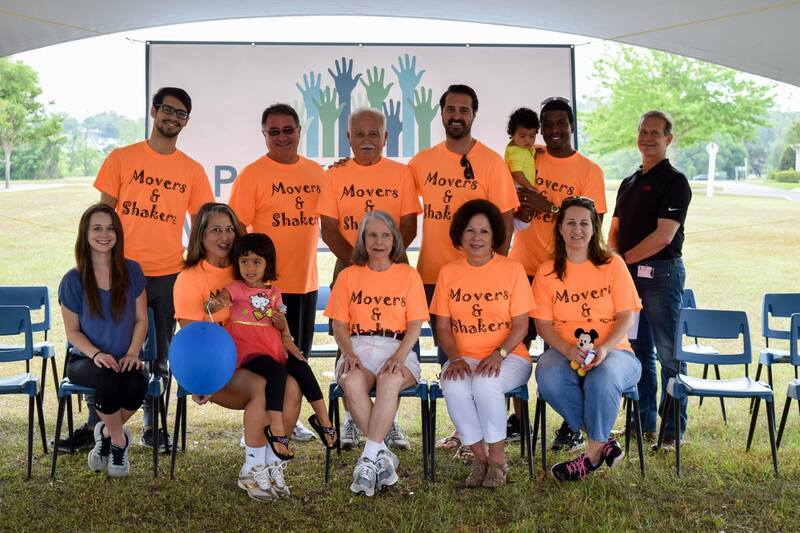 After the recognition of sponsors, we recognize the Parkinson’s Wellness Expo team that raised the most money for the POA, had the most individual donors, and give out door prizes from our sponsors. 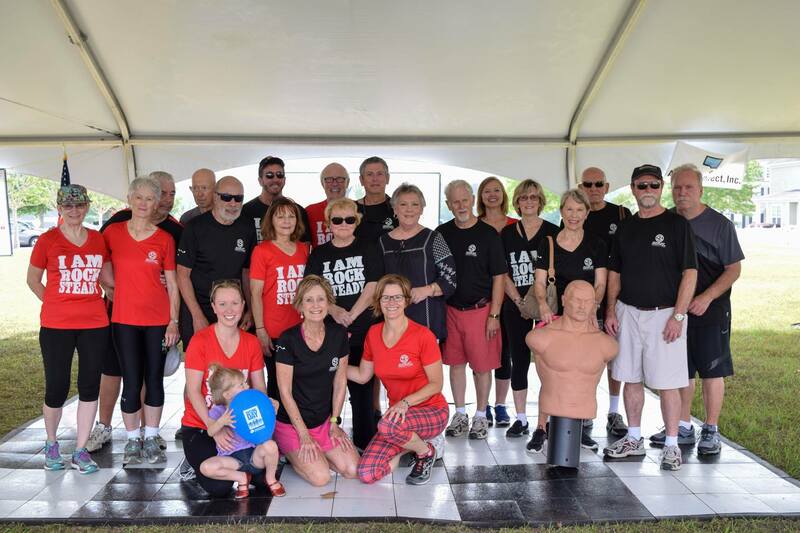 Supporters of our organization are encouraged to form teams for the walk and compete with each other to raise awareness of Parkinson’s disease and to raise funds in support of the free services offered by the POA. Special recognition is given to the teams that raise the most money, and the team that includes the most participants. Door prizes are donated by our sponsors, and include gift baskets and gift certificates.